In the aftermath of the tragic mass murder in the Connecticut elementary school last year, Mike Huckabee made some comments in a television interview that incited considerable controversy and criticism. 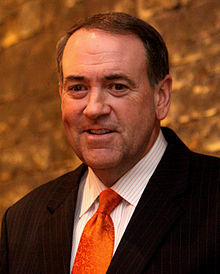 He was asked where God is in tragedies like this, and his response suggested that question is somewhat ironic, since “we’ve systematically removed God from our schools.” Huckabee was criticized for, among other things, being insensitive to the victims of the shooting and their families by offering that sort of commentary so close on the heels of the tragedy. Several months have now passed, and it worth asking again whether Huckabee raised important issues even if the timing of his initial comments was questionable. I believe in fact that he did, and that that controversy reflects deeper issues and a profound incoherence at the heart of our culture. Let me clarify what I think the issue is, and why I think so. Before doing so, it will help to make clear what I am NOT saying, and what he did not say either. First, as he clarified in a later statement, he did not mean to say the shooting happened because prayer was removed from our schools, as if there was some sort of simple cause-effect relationship here. Second, he did not mean to say we have the power literally to expel God from school, or anywhere else. Indeed, he eloquently described some of the many ways God was present in the tragedy and would continue to be. But where he was spot on was in his observation that it is odd to say the least, if not profoundly confused, to wonder where God is in moments like this tragedy, when we as a culture have been marginalizing God for the past several decades. The attitude he cites is manifest in everything from lawsuits over Christmas trees to vociferous opposition to the very suggestion that biology classes should at least examine the possibility that our world was created by an intelligent agent. God is never discussed in history class, or psychology or biology. In public schools, things must proceed as if He either does not exist, or is utterly irrelevant to making sense of everything from the laws of nature to human history. So here is a good way think about the issue. What must God be like for a tragic event like the one in Connecticut to generate even a question about his whereabouts when it happened? The answer is He must be assumed to be something like traditional theists believe He is. If he is not, if he is either impotent, or senile, or morally indifferent, there would be no mystery in the occurrence of evil. It is precisely the lofty claims about the nature of God that generate the problem of evil. If there is no such God, evil is not a problem in THAT sense, namely, that certain types of evil seem to be sharply inconsistent with the existence of such a being. And if there is no such God, there is little reason to believe this tragedy will be rectified and redeemed. The lives that were lost will not continue beyond the grave, and there will be no judgment day to bring ultimate justice. Or think about the issue this way. Invariably when these sorts of tragedies occur, newscasters, celebrities, and everyone else on TV remarks that “our thoughts and prayers go out to these hurting people.” So here is a similar question: what must God be like for prayer to make sense? Again, if prayer is a rational activity, God must be something like the God of traditional theism. If there is no such God, “prayer” is little more than collective empathy. So what I am suggesting is we need to decide whether we want to continue to believe evil is a problem in the deep sense, and continue to believe in ultimate justice, and continue to pray in the belief that Someone is really listening and has the love, the power and the wisdom to know how and when to answer. But here is precisely where the ambivalence/inconsistency/confusion arises that Huckabee put his finger on. Any God whose attributes pose a problem of evil, any God who is worth praying to cannot be trivialized, domesticated, sidelined, ignored ninety-nine percent of the time, and only half-heartedly (usually churches see a spike in attendance for a week or two) acknowledged when tragedy or other trouble shows its face. Any God who is great enough to give us hope that terrible tragedies are not the last word, that such horrors will finally be redeemed and made right, any God who is worthy of serious prayer demands to take the central place in our lives. While thinking about this, it struck me that perhaps this is the deep reason why the issue of prayer in schools has become such a lightning rod. If there is really a God anything like traditional Christianity says, then prayer must be at the very heart of our lives if we are to be rational beings. Prayer acknowledges not only his existence, but our utter reliance upon him as our only hope if evil is to be defeated and our deepest aspirations for meaning are to be satisfied. Moreover, we cannot hope to truly understand human history or the ultimate nature of the physical world if we do not take Him fully into account. On the other hand, if there is no such God, prayer is deeply illusory and misguided, however emotionally comforting it might be. And “God’s” role in human history is only the role of an idea (an idea that is “all too human” as Nietzsche would have it) that is no longer viable for thoughtful people. Either way, one of these positions is radically and utterly misguided and out of touch with reality. No wonder the issue stirs such passions. But the God who is truly capable of giving comfort is the God who will reign forever and ever. If we want the comfort, if we want to pray for His Kingdom to come, we must understand who we are dealing with: the God who will reign forever and ever, and who will purify us when we truly encounter Him. But if we want a God who can safely be ignored and trivialized except when trouble strikes, there is no reason to think such a “god” is worth praying to or even invoking when we are baffled by shocking evil. But we cannot have it both ways. Which “God?” Is this the God in whose name people want weapons multiplied? Is it the God, in whose name conversion was forced upon Indians? Is it the God who didn’t think African Americans should worship with whites? Is it the God who sanctifies American recorded history so our children don’t need to deal with these things? If so, I’m pretty sure it’s a good thing he been “marginalized’ for the past few decades. Definite difference between God and the fallible, flawed human beings who do quite a lot of things that are contrary to His will, even while they claim – CLAIM – to do it in His name. Try reading the article again, and this time read the meaning that’s there instead of putting your own bias to it. Hey – quick point – don’t ascribe actions of man to God. Many things throughout history have been done by fallible, flawed people in the name of God that an attentive reader of Scripture would realize that God would not approve of. Try reading the article again, and this time, read the meaning that’s there. It’s fairly obvious. I truly enjoy looking through on this internet site, it has got great content. “The living is a species of the dead and not a very attractive one.” by Friedrich Wilhelm Nietzsche.